Since the invention of cement, transportation and pouring concrete have been the studying objects of researchers. The conventional method is a traditional bucket with low efficiency which can not meet the requirements of the development of modern industrialization. 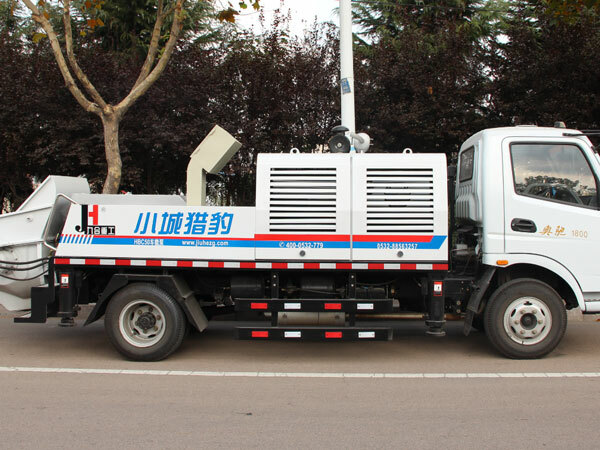 But with the popularity of the trailer concrete pump, it slowly began to appear its limitations, too. The limitations mainly have the following three aspects. Firstly, concrete construction method needs large proportion of personnel which is very inconvenient. Secondly, the equipment transitions need small trucks which cause much transport and handling difficulties. 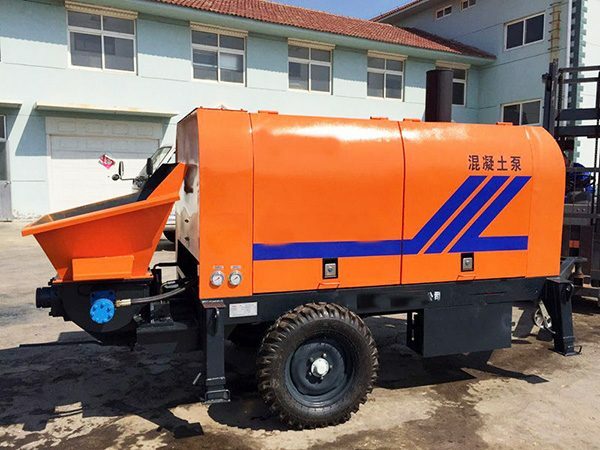 Thirdly, the trailer concrete pump is always set in a fixed location until the completion of the project which makes the equipment utilization rate is very low. 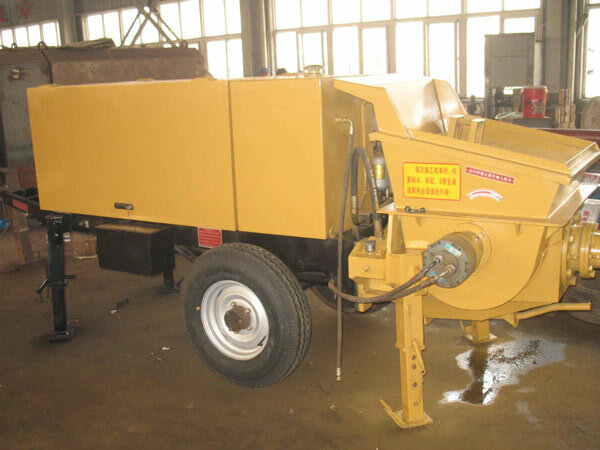 1.Set mixing, pumping, transporting functions in one unit which can effectively improve the efficiency of construction. 2.The power system is equipped with high quality engine with low fuel consumption and high pumping speed which can complete the production of concrete 40m3/h with high efficiency. 3.With high degree of automation it only needs one person to open the equipment and two do cloth pipeline and feeding is directly done through small loading cars which at least save half of the staff. 4.The motor performance is good. 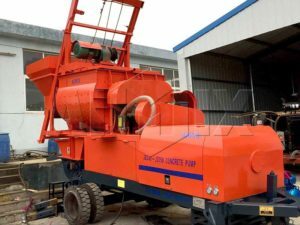 After the completion of the work in one project it can be quickly transferred to another project to continue the work and it can also be responsible for several works of concrete batching pumping with high equipment utilization. 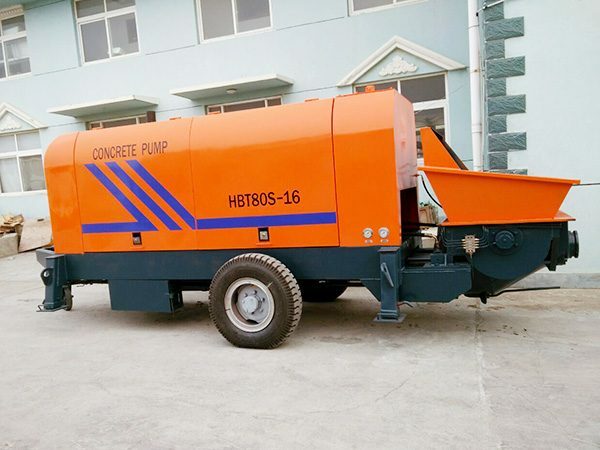 As one of the construction industry leader enterprises, we provide many models of concrete pumps with high quality and perfect services which will bring you much benefits. Our concrete pump not only has high working efficiency but also keeps the quality high with no separation during working process. It has a compact design and is cost friendly as well. If you need more detailed information or have any questions, you are warmly welcomed and feel free to contact us or leave a message. 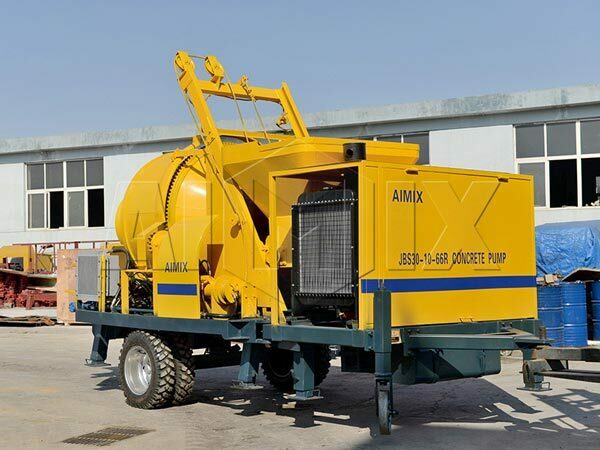 How to Purchase Concrete Pump?